As part of the Lorell Hospitality Table Collection this round tabletop is ideal for cafeterias or breakrooms. 1 thick top is made with high-pressure laminate for an inviting place to meet or snack. Durable stain-resistant scratch-resistant laminate is thermofused on the top and bottom to 45 lb. density particleboard core. Design features a matching cherry PVC edge. Tabletop also includes a predrilled hole for easy mounting of the X-leg base (sold separately). As part of the Lorell Hospitality Table Collection this square tabletop is ideal for cafeterias or breakrooms. 1 thick top is made with high-pressure laminate for an inviting place to meet or snack. Durable stain-resistant scratch-resistant laminate is thermofused on the top and bottom to 45 lb. density particleboard core. Design also features a matching cherry PVC edge and squared corners so tables smoothly fit together in groups. Tabletop includes a predrilled hole for easy mounting of the X-leg base (sold separately). As part of the Lorell Hospitality Table Collection this round tabletop is ideal for cafeterias or breakrooms. 1 thick top is made with high-pressure laminate for an inviting place to meet or snack. Durable stain-resistant scratch-resistant laminate is thermofused on the top and bottom to 45 lb. density particleboard core. Design features a matching mahogany PVC edge. Tabletop also includes a predrilled hole for easy mounting of the X-leg base (sold separately). Tabletop is part of the Safco Electric Height-adjustable Teaming Table so you can make standing a part of your conferencing. 1 thick tabletop is made with high-pressure Cherry laminate and features a 3mm T-molded vinyl edge and two cable grommets for easy cord management. Once assembled this table easily adjusts from 24 to 50 high at 1-1/2 per second. With this easy adjustment you have the choice to sit or stand during meetings and easily transition from one position to another. Weight capacity is 350 lb. The gray or black steel base features a soft start/stop control and a quiet motor. Base has a powder-coat finish for durability. Tabletop is part of the Safco Electric Height-adjustable Teaming Table so you can make standing a part of your conferencing. 1 thick tabletop is made with high-pressure Gray laminate and features a 3mm T-molded vinyl edge and two cable grommets for easy cord management. 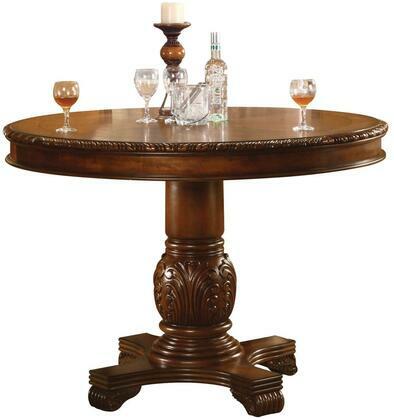 Once assembled this table easily adjusts from 24 to 50 high at 1-1/2 per second. With this easy adjustment you have the choice to sit or stand during meetings and easily transition from one position to another. Weight capacity is 350 lb. The gray or black steel base features a soft start/stop control and a quiet motor. Base has a powder-coat finish for durability. The Oasis Sitting-Height Teaming Table accommodates up to six people for easy collaboration in any space. It is made to withstand long-term use. Table is constructed of a sturdy steel frame with black powder-coat finish and a 1 thick high-pressure laminate tabletop. With contemporary leg design to create a professional aesthetic it suits a variety of personal preferences and decor to create a professional collaboration space. Leg levelers are also included for stability during use on uneven surfaces. Sitting-height table is great for use in open offices meeting rooms touch down spaces training spaces and more to help promote collaboration. The oasis standing-height teaming table accommodates up to six people for easy collaboration in any space. It is made to withstand long-term use. 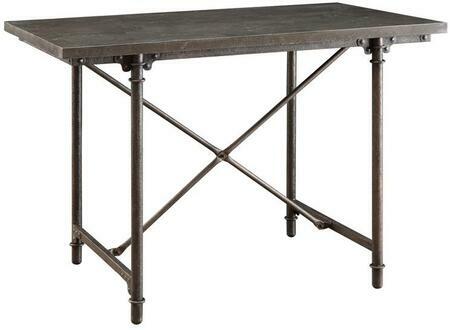 Table is constructed of a sturdy steel frame with black powder-coat finish and a 1 thick high-pressure laminate tabletop. With contemporary leg design to create a professional aesthetic it suits a variety of personal preferences and decor to create a professional collaboration space. Standing-height feature helps to encourage a more active work environment and can be paired with leaning or perch seating to help combat fatigue from standing or used alone. Leg levelers are also included for stability during use on uneven surfaces. Standing-height table is great for use in open offices meeting rooms touch down spaces training spaces and more to help promote collaboration. The Elo® desk has four unique curved legs positioned at the widest point of the desktop to improve stability and to provide more knee clearance for the students. The rectangle desktop size is 27.5 in.W x 20 in. D and is constructed of medium density fiberboard which has superior screw holding abilities anti-gum phenolic backer high pressure laminate of your choice with beveled Lotz Armor Edge™ which is an indestructible polyurea that will not separate from the core. The legs are constructed from 1.25 in. square 14-guage square tube steel and finished in a powder-coated smooth silver or textured black paint. Six screws are inserted into threaded metal inserts per leg and keep the legs from being pulled out of the desktop. Matte laminate with 1.125 in. MDF core top with Lotz Armor Edge™ top; textured painted black legs 14-gauge tubular steel welded to 12-gauge mounting plate and secured with six screws into metal inserts. Threaded case-hardened self-leveling 1 in. adjustable stem nylon glide. Accommodates tote book box. Optional backpack hook. Dimension - 27.5 x 20 x 4 Adj Ht in. Rectangular Invent tabletop is part of the Lorell Training Table Collection that offers convenient configurations for your training needs. 1 thick top is made with high-pressure laminate for a durable worksurface. Stain-resistant scratch-resistant laminate is thermofused on the top and bottom to 45 lb. density particleboard core. Design also features matching cherry PVC edge and squared corners so tables smoothly fit together in groups. Optional ganging connector (sold separately) secures tables together and quickly detaches for easy reconfiguration. Optional modesty panels (sold separately) include wire channels for wires to pass through the bottom of the panel. Tabletop includes a predrilled hole for easy mounting of the C-leg base with casters or glides (sold separately). As part of the Lorell Hospitality Table Collection this round tabletop is ideal for cafeterias or breakrooms. 1 thick top is made with high-pressure laminate for an inviting place to meet or snack. Durable stain-resistant scratch-resistant laminate is thermofused on the top and bottom to 45 lb. density particleboard core. Design features a matching light gray PVC edge. Tabletop also includes a predrilled hole for easy mounting of the X-leg base (sold separately).